This fungus is a polypore. This means that it has tiny pores on the underside, rather than gills, from which reproductive spores are released. 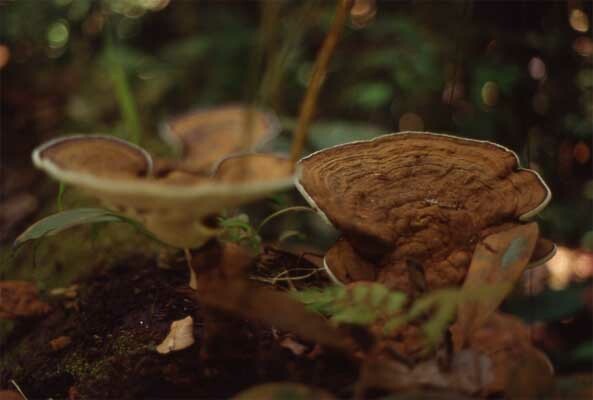 This species (Amauroderma schomburgkii) has a woody texture and is quite common in Amazonia.